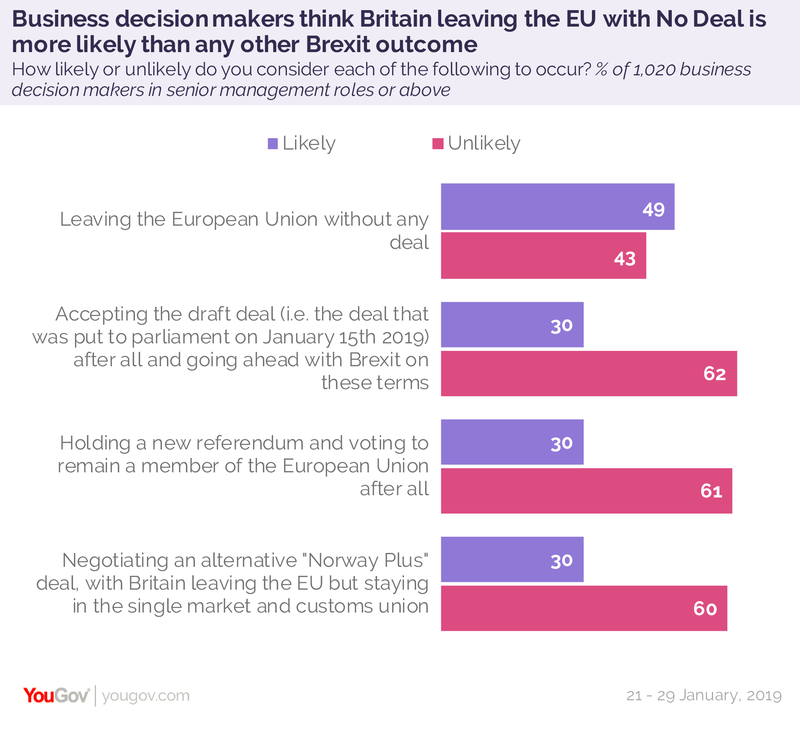 January 31, 2019, 10:36 a.m.
A new YouGov B2B Omnibus survey reveals that a second referendum where Remain wins out is the preferred outcome of 50% of senior decision makers in British business, but that they are actually most likely to expect a No Deal Brexit (49%). Of those who see a No Deal Brexit as likely, four in ten (37%) say their business is not prepared for such an outcome. Just half (52%) feel ready. Overall, one in three (33%) say they feel unprepared for Brexit in general. Despite the majority (56%) suggesting they would support Theresa May in a snap election, two thirds (66%) think the government has not adequately consulted business on its Brexit strategy. YouGov’s survey consulted a representative sample of those in senior manager roles and above across all industries – including manufacturing, retail, IT and telecoms. Six in ten (57%) say they voted for Remain, while just four in ten (37%) voted Leave. Only those in the construction industry are more likely to have voted Leave than Remain (50% vs 41%). 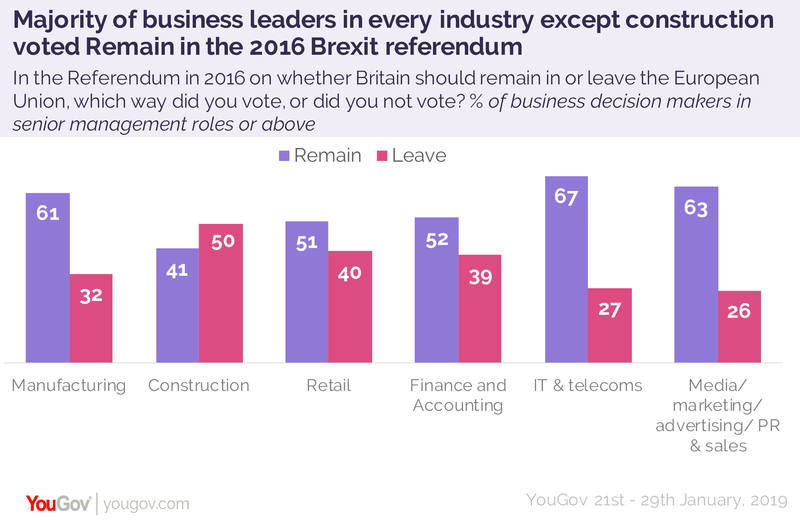 In line with this, business leaders are most likely (50%) to see a second referendum in which Britain votes to Remain as a favourable outcome for their business. They are more likely to view a new referendum, or a Norway-style alternative deal, as a favourable outcome than an unfavourable one (50% vs 38%, 33% vs 32%). The option business leaders are most likely to see as unfavourable is No Deal (57% unfavourable, 29% favourable), closely followed by Theresa May&apos;s draft deal (51% unfavourable, 26% favourable). 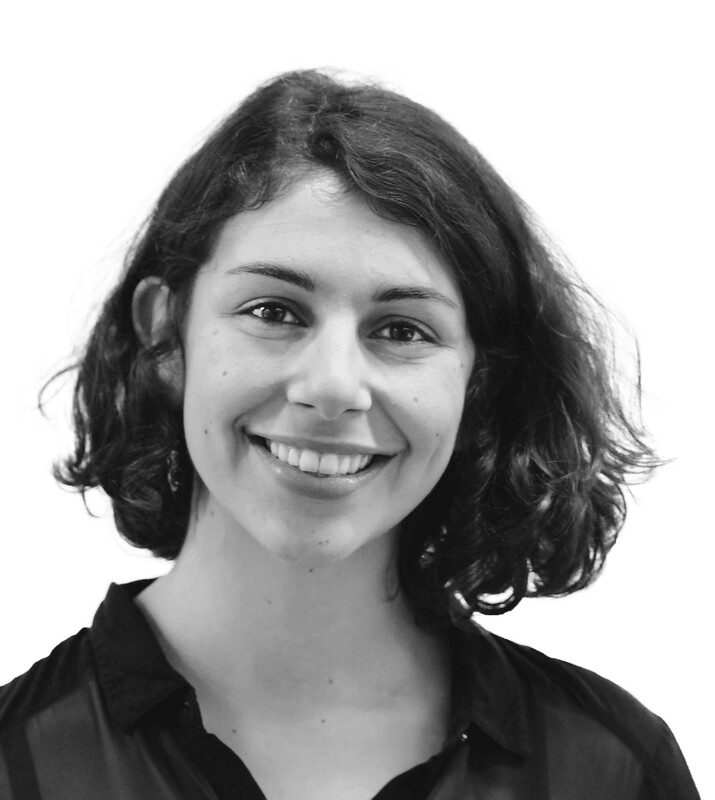 … but just a third see a new referendum as likely. Despite seeing No Deal as the most unfavourable option, they are most likely to think Britain will find itself in exactly that position (49% vs 30% for all other options). Six in ten business decision makers think it’s unlikely that Britain will accept the draft deal (62%), hold a new referendum (61%) or negotiate an alternative deal (60%) - compared to four in ten (43%) who see No Deal as unlikely. However, just half of those who see No Deal as likely feel prepared for such an outcome, (52%), with nearly four in ten (37%) saying they feel unprepared. Among all business decision makers, when asked how prepared they feel for Brexit in general, one in three (33%) feel ‘not very prepared’ or ‘not prepared at all’. The majority of business decision makers would support Theresa May in the event of a snap election before Brexit. Almost three times as many would support Theresa May as would Jeremy Corbyn (56% vs 21%), with slightly more support for Corbyn among decision makers in small businesses (24%) than in large ones (18%). Yet despite majority support for May, two thirds of business decision makers (66%) disagree with the notion that Government has adequately consulted them on Brexit strategy. Just one in four (23%) feel adequately consulted, with decision makers in the worlds of finance and accounting almost twice as likely to feel this way as the average (40% vs 23%). Business leaders who voted Leave are three times as likely as those who voted Remain to feel they’ve been adequately consulted (39% vs 13%) but still more likely to feel they’ve not been (46%, vs 80% of those who voted Remain). 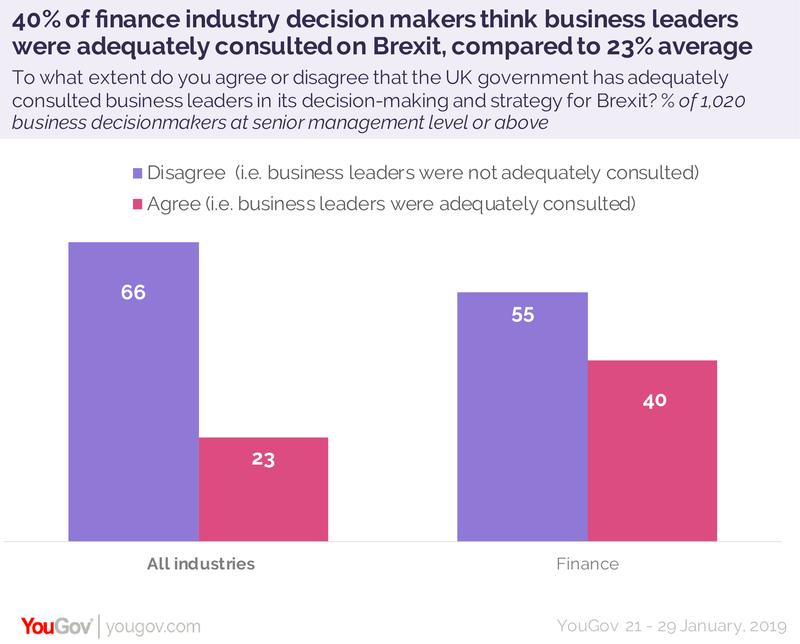 This research was conducted through YouGov&apos;s B2B Omnibus, which surveys senior decision makers in British private sector businesses of all business sizes, across all industries weighted and representative of British businesses. ‘Senior decision makers’ include senior managers and above, with decision making responsibility in one of 10 key areas of their business.